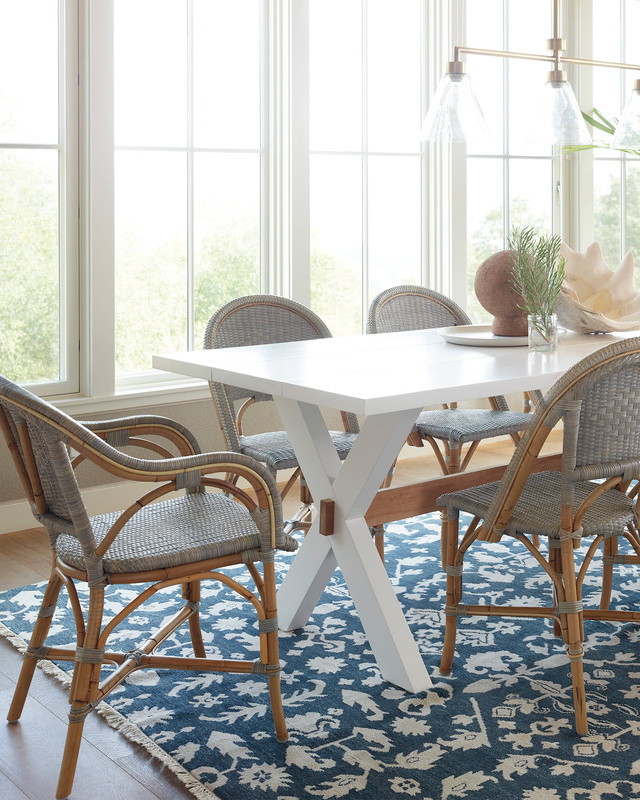 Sunwashed Riviera Side ChairSunwashed Riviera Side Chair, Mist alt="Sunwashed Riviera Side Chair, Mist"
Print The classic Parisian bistro chair, reinvented. 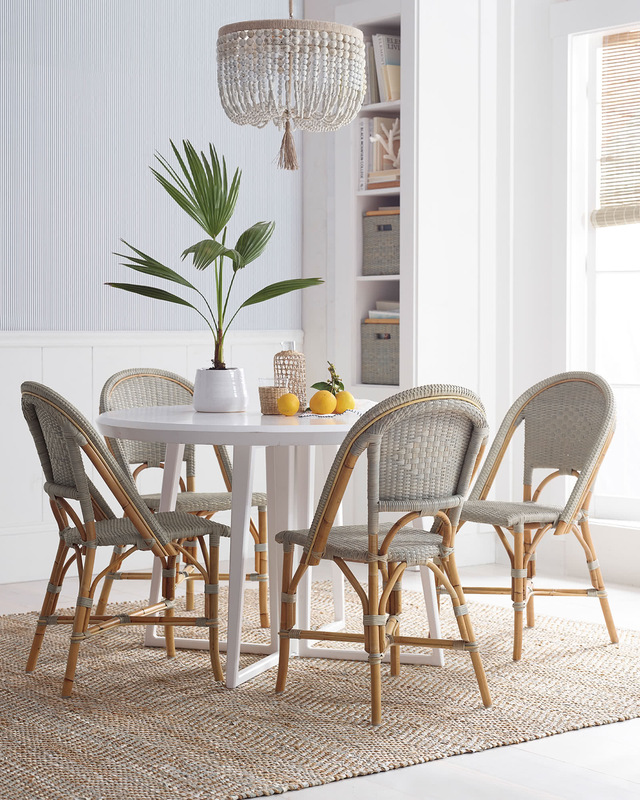 True to its roots, each rattan frame is crafted in a time-honored technique perfected by the French, bent and shaped by hand until the iconic shape is achieved. 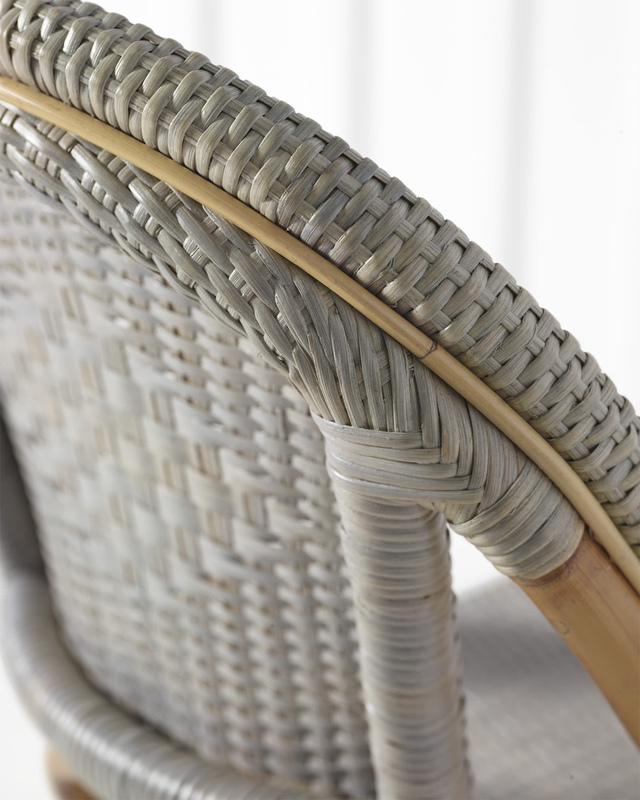 Our exclusive finish highlights rattan’s subtle variations, enhancing the beauty of the weave for a truly distinctive look. Such a gorgeous mix of the familiar and the chic. 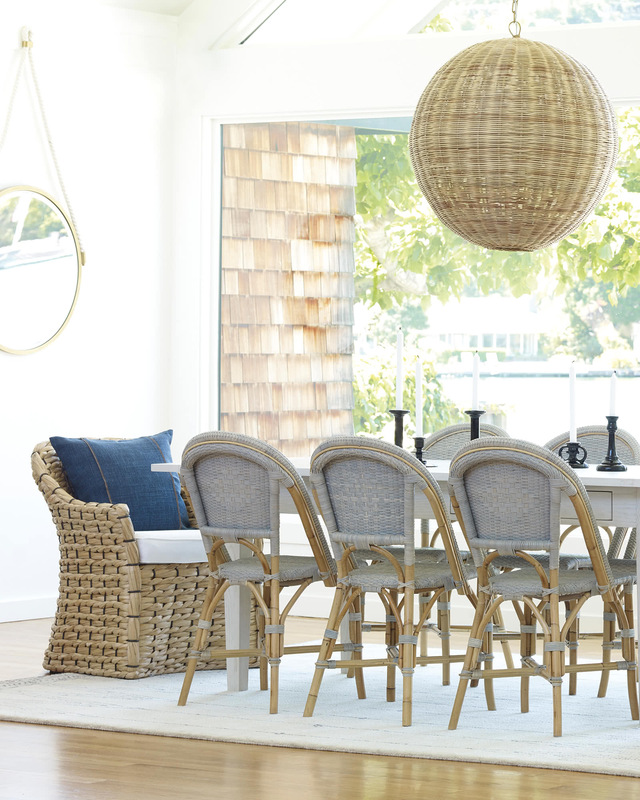 Features our exclusive Sunwashed finish for a distinctive look. 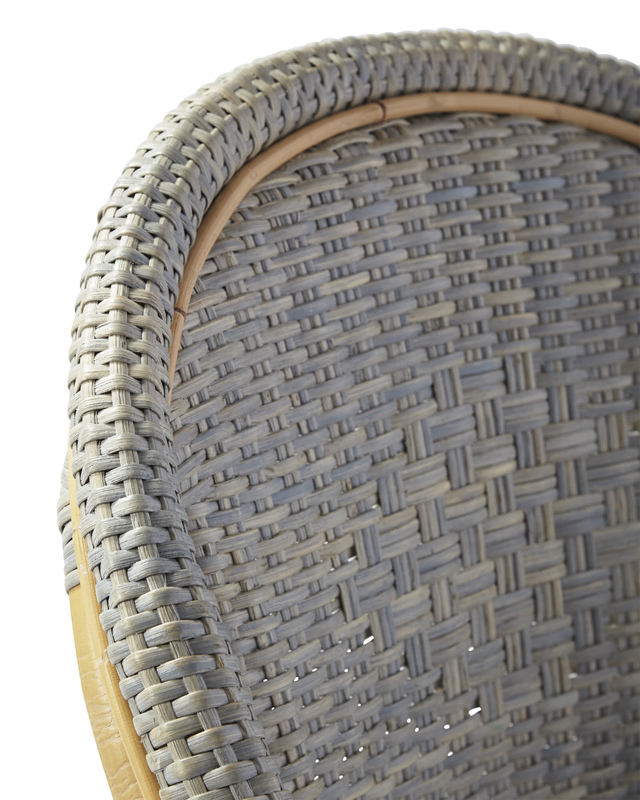 The sustainable rattan frame is hand-bent and hand-shaped; the all-rattan seat is expertly handwoven. 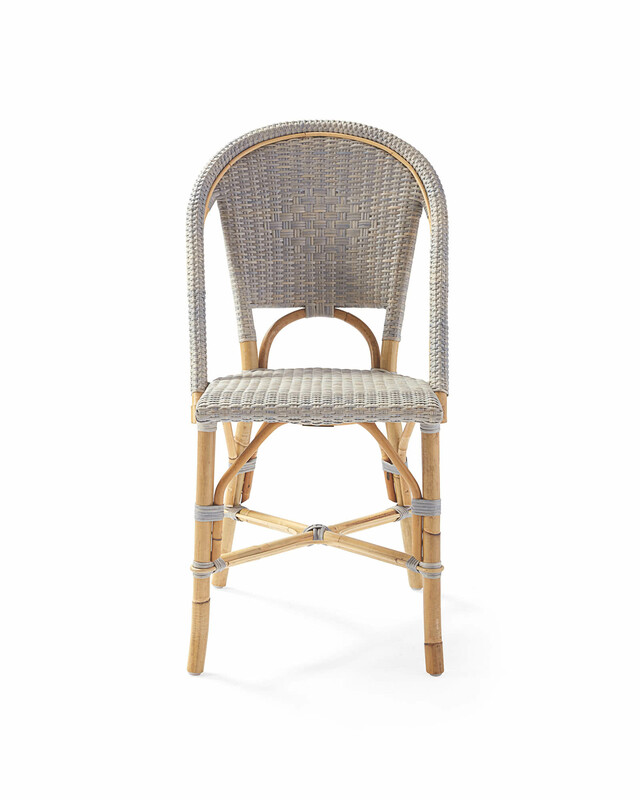 Rattan is wonderfully durable but, like any other natural material, it will last even longer if you treat your furniture with extra care. 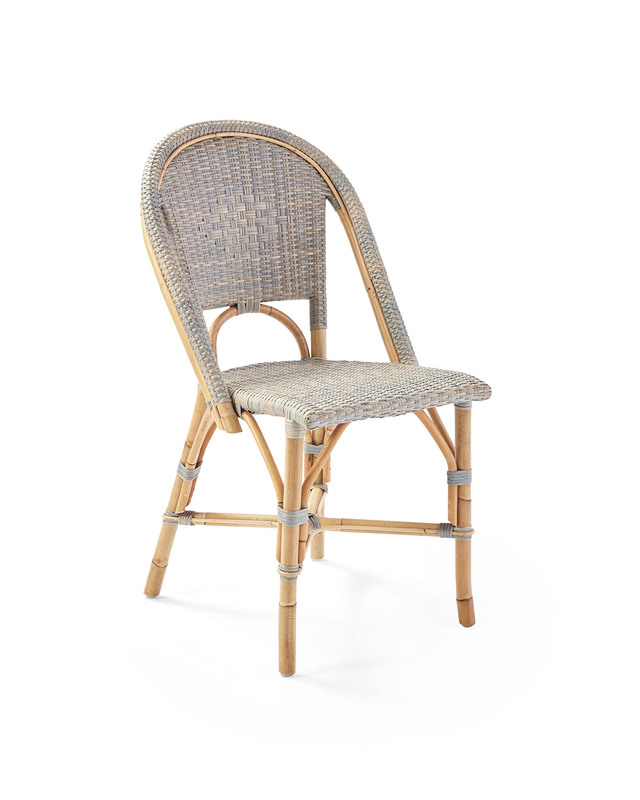 To protect the woven rattan seat and back, avoid putting undue stress (like standing or kneeling) on your furniture. 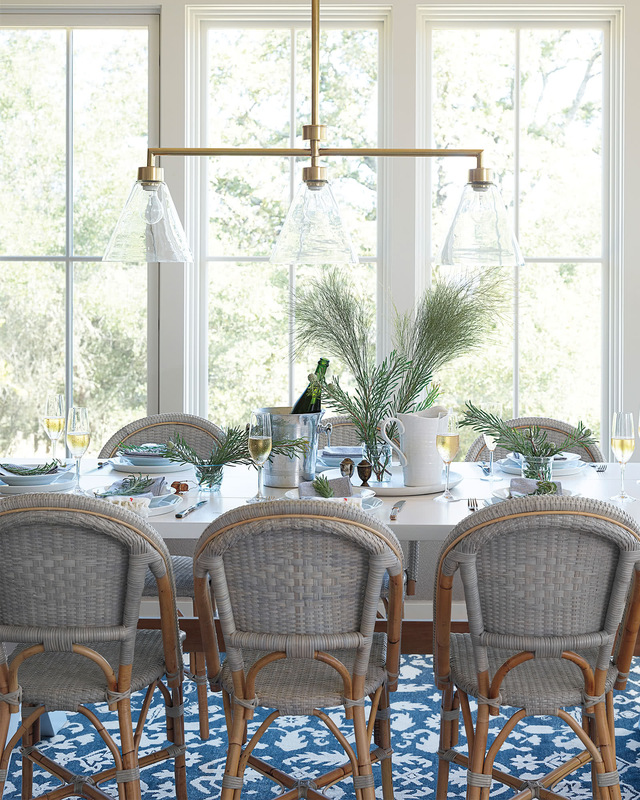 To preserve the beauty of the frame, use your chair indoors and avoid exposure to inclement weather. 17.5"W x 23.5"D x 35"H overall.